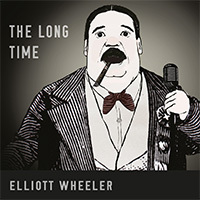 Elliott Wheeler: "The Long Time"
Elliott Wheeler is a Sydney based composer and producer who is classically trained, and truly a master of the art of music and any and all categories of involvement in creating the art. He has been working as a screen composer and producer across a broad spectrum of genres from studio releases to film, documentary, commercials, and theatre. He has spent most of last year working on the soundtrack for Baz Lurhmann’s The Great Gatsby, collaborating with music giants like Jay Z and Jack White among other truly remarkable and notable artists. Wheeler's most recent and excited work was the global release of his debut studio album, The Long Time, which features Wheeler along with hand-picked performers from his extensive work with some of the best Australian singers today. The album is very reminiscent of the early days of music, fashion, and cabaret. The concept of the album is truly amazing, each track on the album is inspired by his favorite scenes from Wheelers' favorite movies of the 60′s and 70′s. Honestly, this album is dope. Whether you like smooth jazz, electronic, hip-hop or even folk music. The cross-genre wok here is amazing. Impressive.